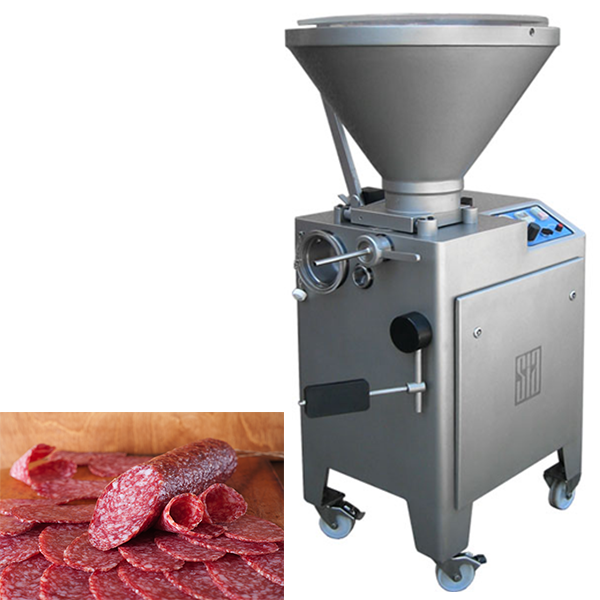 MPBS Industries located in Los Angeles CA 90023 sells Continuous Vacuum Sausage Stuffer. 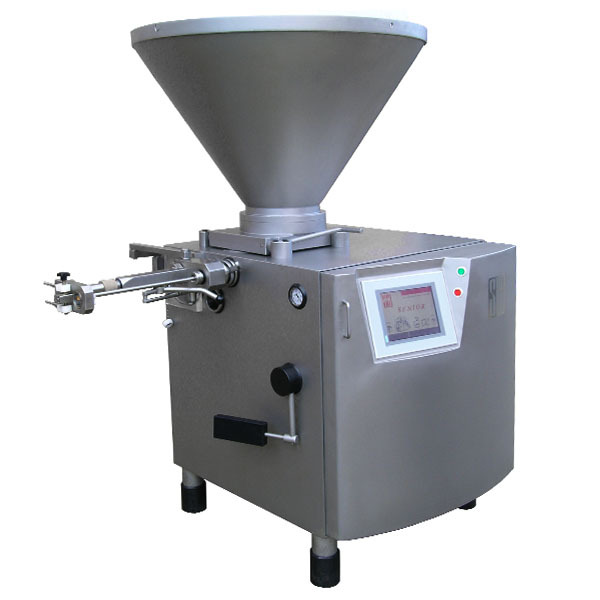 These vacuum sausage stuffers are modern filling machines for larger operations designed as continuous vacuum stuffers. 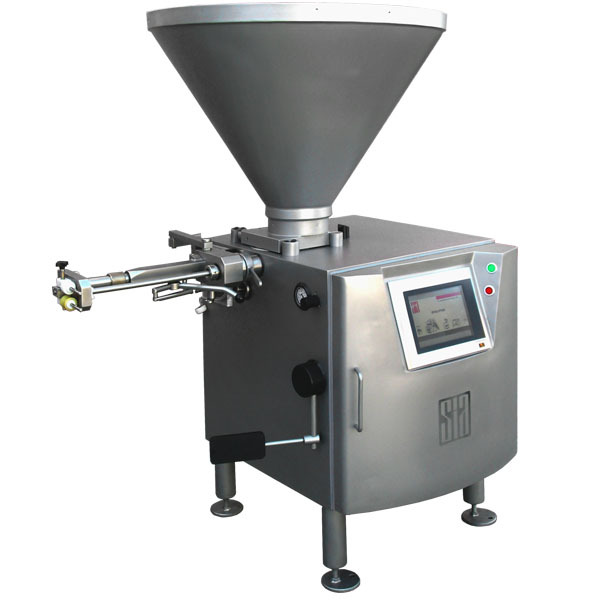 During the filling process a substantial part of the enclosed air is removed from the product, which helps to improve color and texture of the finished products. 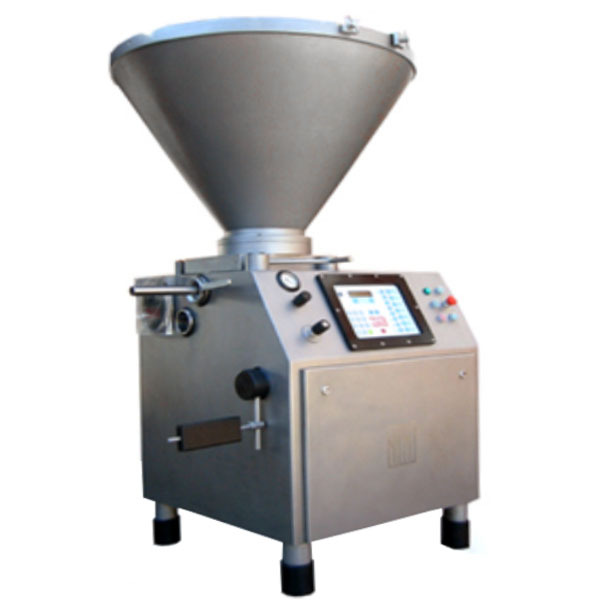 These models are usually equipped with a portioning and twisting devise and have a casing grip devise attached for filling of “shirred” uncut collagen and plastic casings. 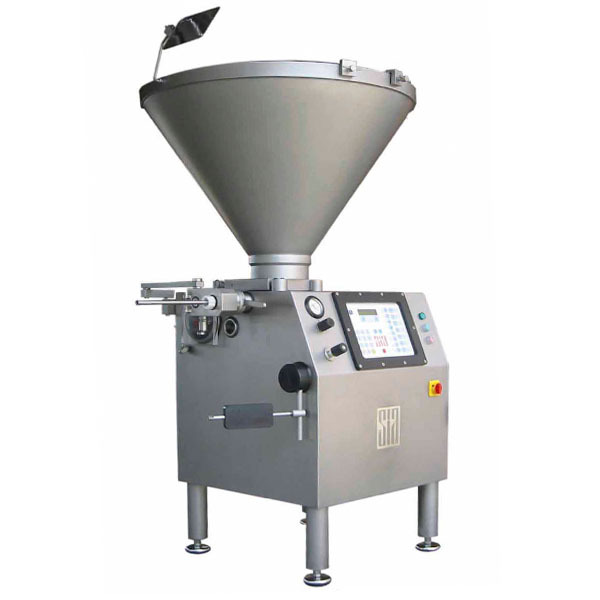 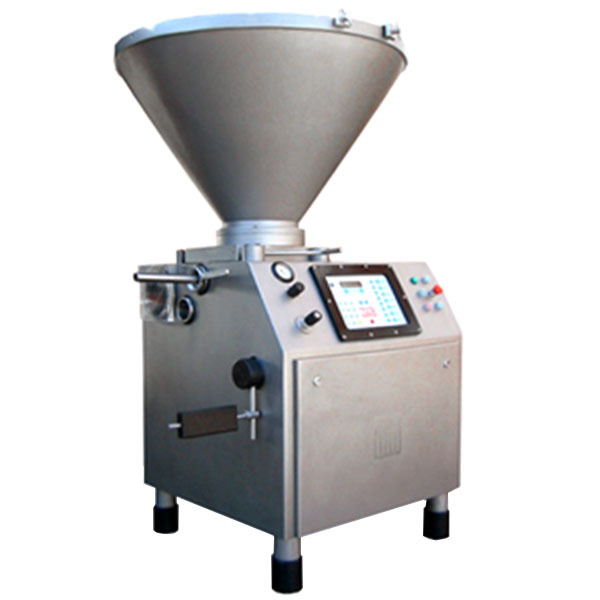 This type of continuous filling equipment is relatively expensive and is thus not used in small to medium size operations.